NaYoung Hwang is a Ph.D. in Education student specializing in Education Policy and Social Context (EPSC). 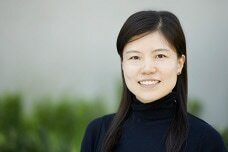 Na Young’s research interests include social stratification, education policy analysis, and teacher education. As an ESL teacher in Korea, NaYoung was able to witness firsthand the influence of socioeconomic background on a child’s English language achievement and, ultimately, educational prospects. In addition, by teaching English to adult professionals, she observed the crucial influence of one’s childhood access to language education on his/her future employment opportunities in English-obsessed Korea. These experiences, combined with her work as a volunteer teacher in Korean orphanages, spurred NaYoung’s interest in the impact of education on social mobility and stratification. After more than a decade of teaching, NaYoung returned to the role of student at Korea University, where she earned her master’s degree. Studying at KU, she was blessed with the opportunity to cultivate her skills and interests as an educational researcher through the use of both qualitative and quantitative methods. As a doctoral student at UC Irvine, NaYoung is excited about exploring policies and methods that can improve the abilities and prospects of children from underprivileged backgrounds. Hwang, N., & Lee, J. (2011). The meaning of part-time job experience for vocational high school students in South Korea. Anthropology of Education, 14(3), 233-260. Hwang, N., Hwang, Y-J, & Kim. K-K (2011). An analysis of the effectiveness of English Program in Korea (EPIK). Korean Journal of Sociology of Education, 21(4), 235-262. Hwang, N., Lee, J., & Yi, K. (2012). Structural relationship between the determinants of adolescents’ working hours in South Korea. Studies on Korean Youth, 23(1), 223-250. Hwang, N., "The Impact of Working Hours at Part-Time Jobs on Educational Achievement in South Korea." Round Table Presentation at AERA, May, 2013. Hwang, N., “The Meaning of Part-time Job Experience for Vocational High School Students in South Korea.” Presented at the annual meeting of the Comparative and International Educational Society, Montreal, May, 2011. Hwang, Y-J, & Hwang, N., “The Impact of Ability Grouping on Educational Aspirations of Middle School Students in South Korea.” Presented at the annual meeting of the Comparative and International Society, Montreal, May, 2011. ​Hwang, N., Hwang, Y-J., & Kim, K-K. “The Effects of English Program in Korea (EPIK) on English Achievement of South Korean Middle School Students.” Presented at the workshop of Korean Journal of Sociology of Education, Chungnam National University, Daejeon, South Korea, May, 2011.